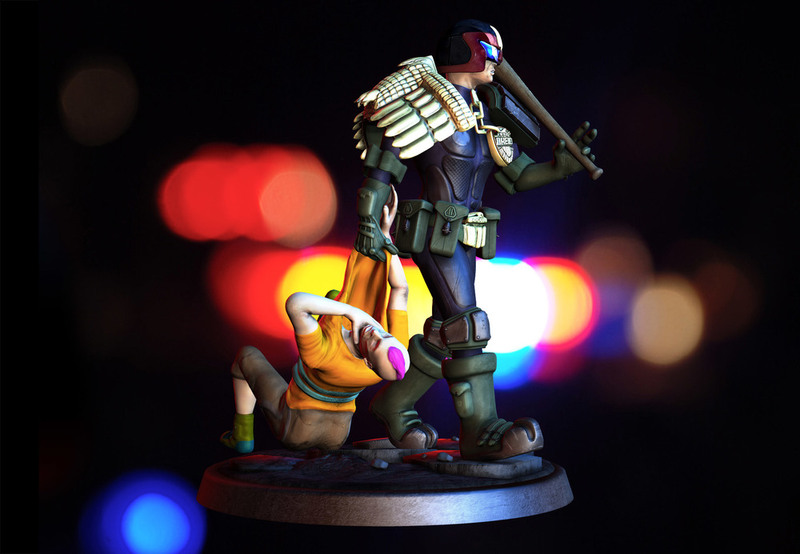 Based on the 2000AD character Judge Dredd created by John Wagner and Carlos Ezquerra. Rendered in Blender Cycles using Physically Based Rendering Materials and image based lighting. Choose 720p HD or 1080p HD for best video quality. Manipulate the model in 3D below using your mouse with Sketchfab. No plug-in required. Sometimes needs WebGL enabled. Renders direct from Mudbox lit using image based lighting. For part of the sculpting process the two characters were sculpted separately to manage polygon counts and memory usage. 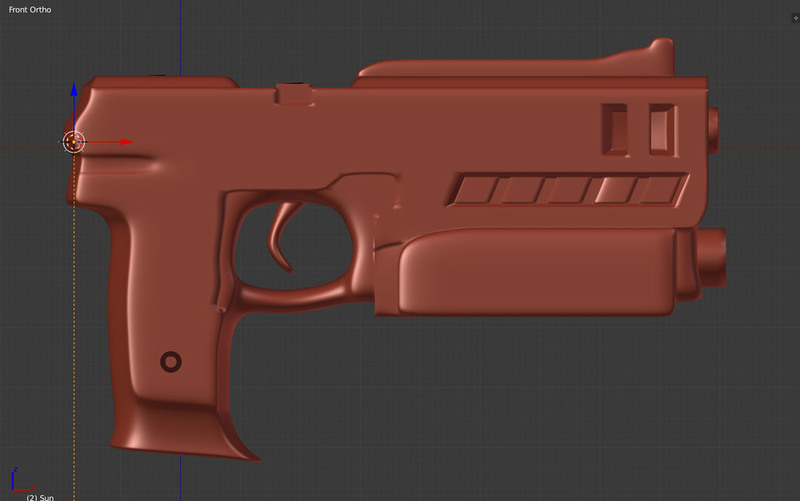 Some hard-surface props like Judge Dredd's "Lawgiver" pistol were modeled in Blender. Close to sculpting completion I output some renders to share with the CGI community. I used this opportunity to strengthen the pose. 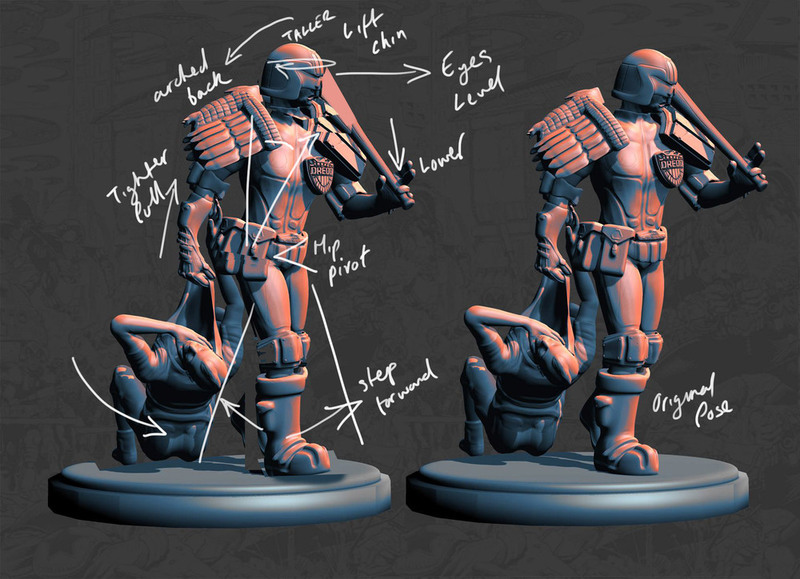 In the above image I quickly hacked pieces on the left in Photoshop to aim for a more determined look with Dredd's head lifted, a mid-stride pose with forward momentum and a tighter pull on the thug. I also used this opportunity to try and very quick down-and-dirty paint over in Photoshop as a color guide for the final model. Note how the pose is different from the final model. Bump mapping was added to create the finest detail without increasing the polygon count. Partial retopology occurred during the sculpting process for better sculpt quality and again to create efficient low polygon target meshes. 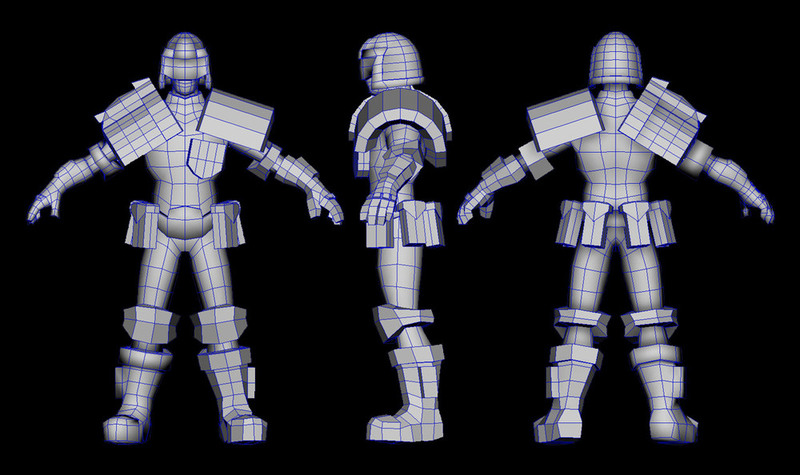 UVs created on the low poly target meshes in Blender. Normal maps extracted in Maya and xNormal. Bump and Cavity maps extracted in Mudbox. Left to right – maps applied to a low poly version of the model in Mudbox. A sample of normal maps generated in Maya. 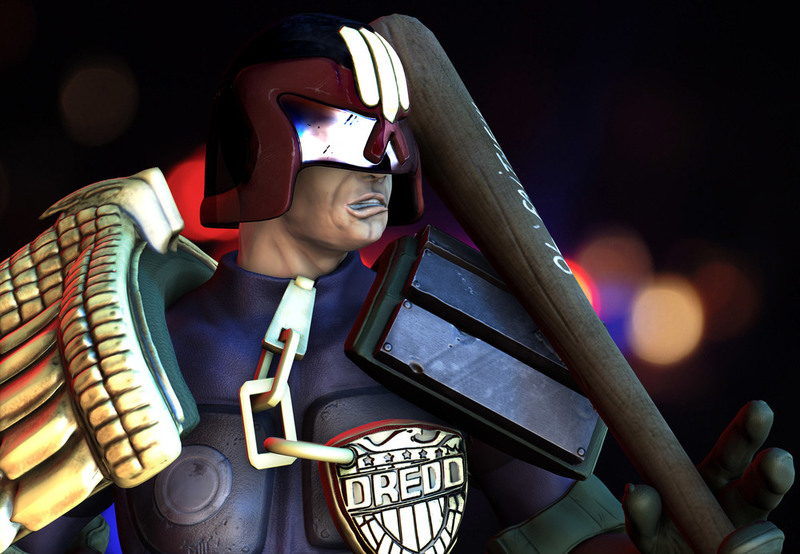 Left to right – Thug, badge and belt utility bag, Judge Dredd's main body mesh. All paining done within Mudbox. Left to right – laying down base colors before working up detail. While this sculpt was transferred to a low poly mesh to ease painting, lighting, and rendering it was not intended for real-time rendering such as a game engine. I therefore allowed myself to use several texture maps with some packed more tightly than others. Organizing them logically rather than optimizing UV packing for just one or two highly efficient maps. Sample textures, thug. 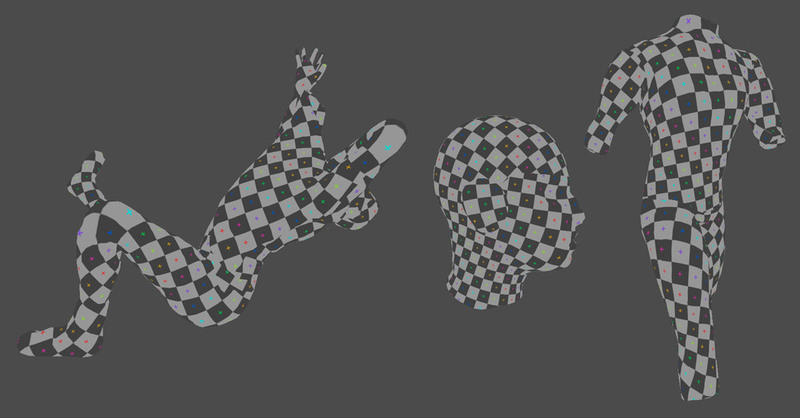 Left to right – diffuse, bump, and specular. Sample textures – badge and belt utility bag. Sample textures – Judge Dredd's body.